I’m ending the week with some summer style. I’ve actually been wearing a lot of color lately because warmer days and colorful clothing go hand in hand. Sure I'll continue to wear color but sometimes I feel more comfortable in darker shades and they're easier to style. 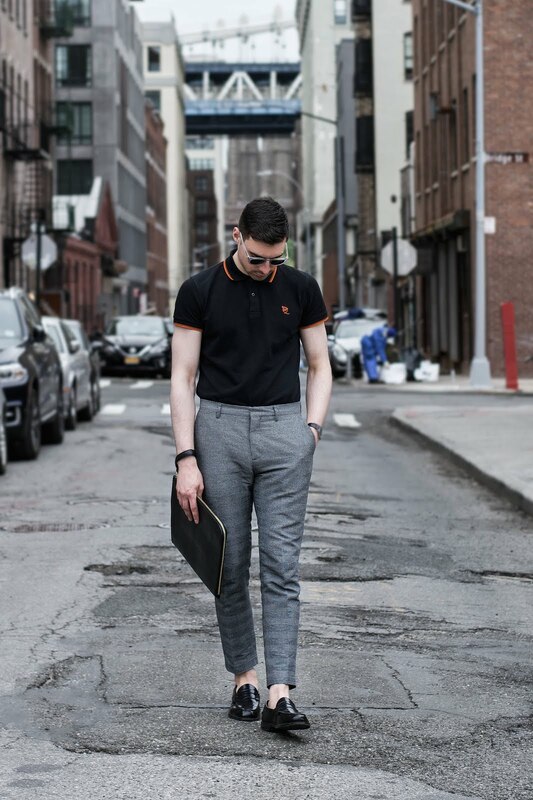 When I originally put this look together I paired these glen check pants with a black T-shirt. 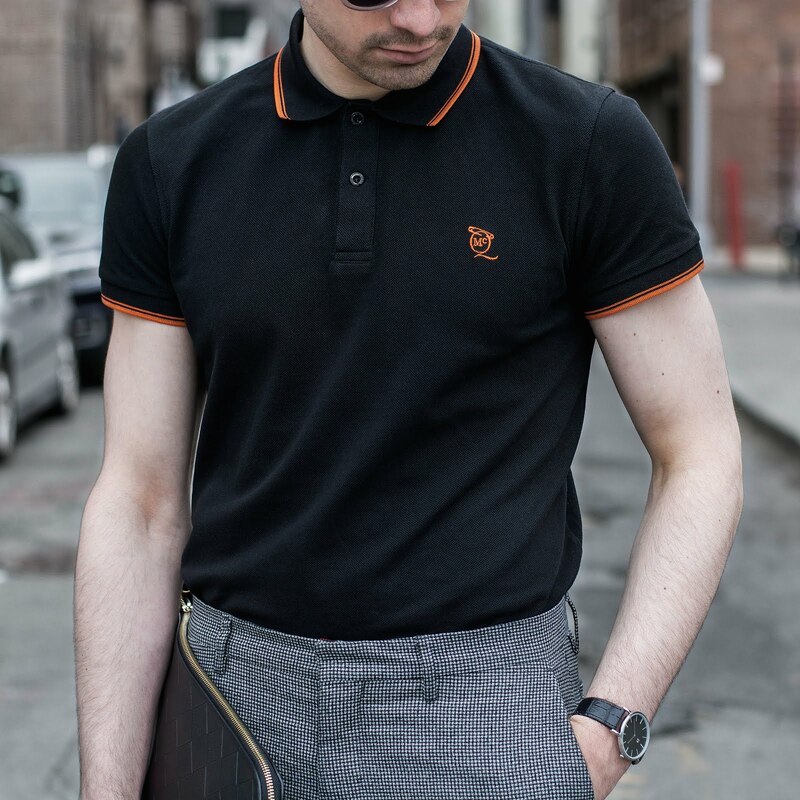 I liked the idea but felt it was just a bit too boring so I ended up switching out the tee for a polo and am much happier with the result. 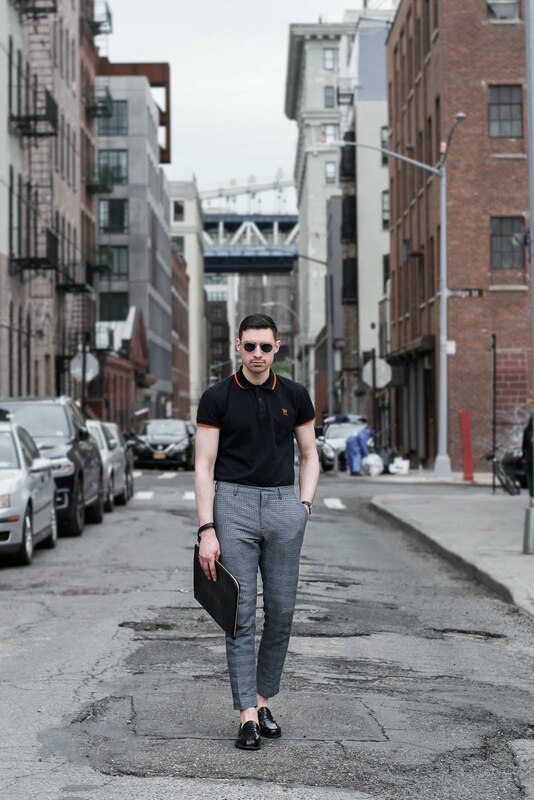 The most important thing to do is to tuck in the shirt. 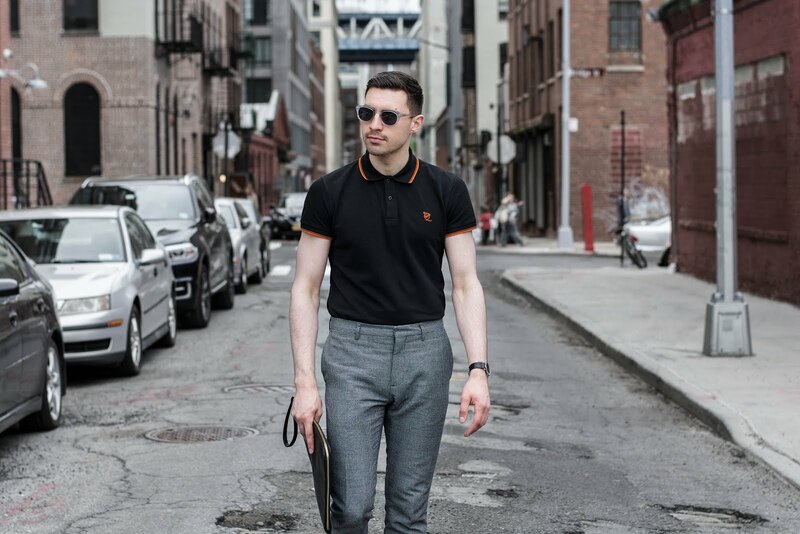 An untucked tee or polo will look sloppy and unstylish but a simple tuck will transform the outfit creating clean lines and will actually make you appear taller. 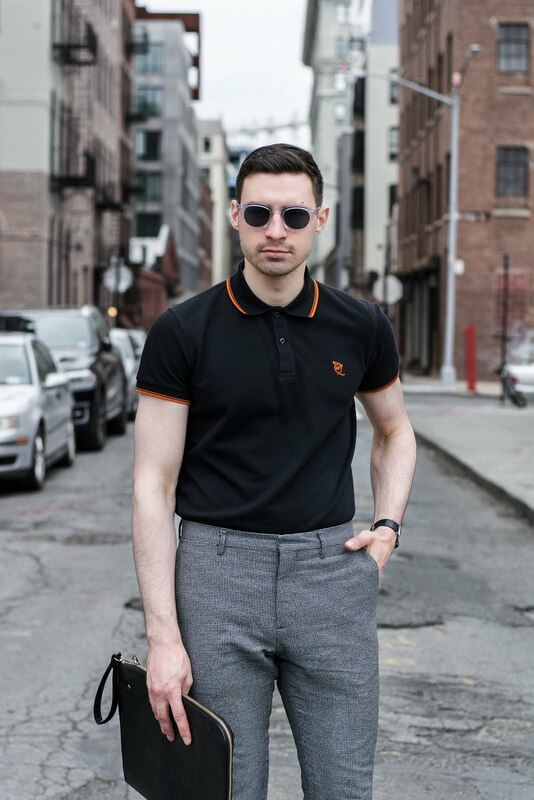 I was going for a city outfit so I went with dark colors but you could wear a colored polo to make it pop even more or go with the classic white pants and blue polo shirt look. It's perfect for any spring or summer day. Thanks for reading!